In June, the last of the Royal Navy’s Type 42 destroyers, HMS Edinburgh, was retired. With her went the Sea Dart missile, the 1960s-vintage anti-aircraft system that was the Type 42s’ primary means of defense. When it comes to after-the-fact assessing of different weapons systems’ effectiveness, there is a school of thought that maintains that the most successful weapons are the ones that never have to be used. There is a point to this philosophy, especially during an age of nuclear weapons and mutually assured destruction. Like the Talos, the Sea Dart was also originally intended for protecting aircraft carriers and other larger warships. But during the 1960s, the Royal Navy radically scaled back its force structure. The aircraft carriers that the Sea Dart was to go aboard were canceled, and of the light cruiser-size Type 82 destroyers, which the Sea Dart was intended for, only the lead ship, HMS Bristol, was ever built. Instead, the British built much smaller Type 42 “Sheffield-class” destroyers, and aside from the Bristol, and the Invincible-class carriers, they became the principal platform for the Sea Dart. 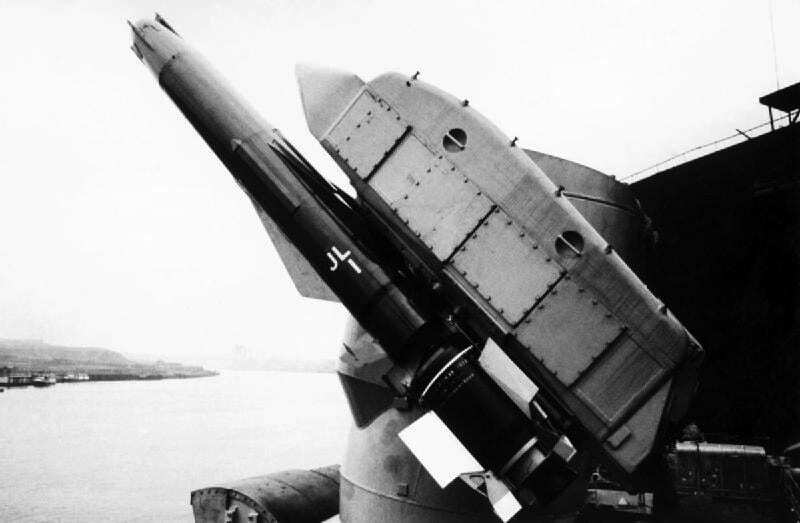 For the Sea Dart, this issue is only relevant tangentially, since the weapon it gets inevitably compared with and just as inevitably, found inferior to, the American Standard SM-1 and -2 missile, was only rarely fired in anger, and then more at ships than at aircraft. The most famous example of it being fired against aircraft was sadly the time it was used mistakenly to shoot down an airliner full of Iranian civilians. Unlike the Standard Missile, the Sea Dart saw plenty of action in its forty-year tour of service. Its performance was never flawless. It misfired and missed targets a number of times. The first ship to score a hit with it, HMS Coventry, shot down a helicopter and two Argentinean A-4 Skyhawks, but was sunk shortly afterwards by Skyhawks during the Falklands War, largely because of the Sea Dart’s failure to lock onto the aircraft, at low level and against background clutter. While the Americans might have considered this as grounds for scrapping the Sea Dart, the British adopted a more circumspect view toward its performance. 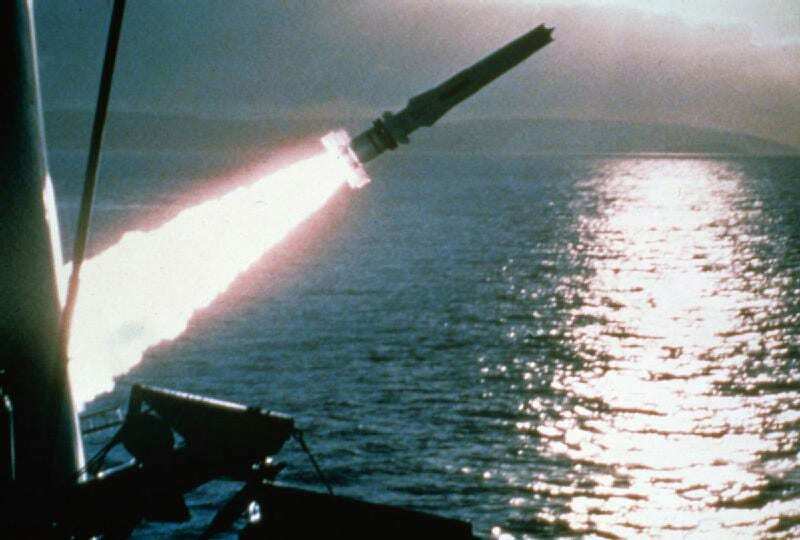 Designed in the 1960s to counter high-flying Soviet fighters and bombers, Sea Dart usually finds itself compared with the second-generation American Terrier-Tartar missiles and the Standard SM-1 and SM-2 systems that replaced them. But the Sea Dart clearly is much more similar to the much larger Talos, the first generation missile system used aboard U.S. Navy cruisers of the early 1960s. Like the Talos, Sea Dart coupled a solid-fuel booster with a ramjet sustainer. Both were fired from twin-arm, trainable launchers, reached speeds of Mach 2.5, and used semi-active radar homing using four aerials spaced around the ramjet intake employing interferometry for proportional guidance. The big difference, besides its shorter range, was that the target acquisition radar that Sea Dart depended on was a much older, much less capable Type 965 radar. The 1982 Falklands War was a brief, nasty conflict between Britain and Argentina in which neither side had a decisive edge. While some of it was fought in the open sea, the most decisive naval and air battles mostly took place in the sounds and bays separating the two main islands. Winter was coming on, the weather was terrible, and the Type 965 radar had to operate in a clutter-filled environment. Twenty-six Sea Darts were fired during the course of the Falklands War, which resulted in seven kills, one of which was friendly. The Type 42 destroyer responsible for most of them was the Coventry, which, along with the other Type 42s, Sheffield and Glasgow, provided anti-aircraft protection for the fleet. The British decision to go with Type 42 destroyers reflected a cost consciousness that sometimes compromised the effectiveness of weapon systems. The first ships of the class were even shortened by 47 feet to cut costs, making them notoriously bad sea-keepers. Likewise, the Type 965 radar, already old at this point, was supposed to be an interim solution, but once in place, there was little impetus to replace it with something better. Construction of the Type 42 destroyers (with lengthened hulls in later batches) continued through the 1970s and into the 80s. While the U.S. Navy’s Tartar and Terrier missiles gradually got replaced by the Standard SM-1 and SM-2 family of missiles, which ultimately became the Aegis system, the Sea Dart remained relatively unchanged. The first time the Sea Dart was fired in combat was on May 7, 1982, when the Coventry fired three at two Argentinean air force Lear jets, missing both, though the radar of another ship, HMS Broadsword, incorrectly reported the missiles’ radar signatures merging with both targets, indicating kills. A few days later, Coventry fired two more at two A-4C Skyhawks flying over South Jason Island. Though they were initially listed as kills, later examination of the aircraft wreckage showed that they had both crashed as a result of bad weather. Coventry’s first confirmed kill was an Aérospatiale Puma shot down over Choisul Sound. Still believing that they had shot down all five aircraft, the Sea Dart, for a while, had the men of the Coventry feeling invincible. The problem was, the Argentineans knew a thing or two about the Sea Dart’s limitations, since they had two Sea Dart-armed Type 42 destroyers of their own.